Google began rolling out its Google Lens tech to Android phones back in March, allowing third-party smartphone owners to update the Google app to directly integrate Lens into a device's native camera app. Now Sony’s latest phones will finally include that option as well. Owners of the Sony Xperia XZ2 and Xperia XZ2 Compact will no longer have to open the Google Photos app to access Lens features, Sony announced this week. For now, only English, Spanish, Portuguese, French, German, and Italian languages support Lens features. 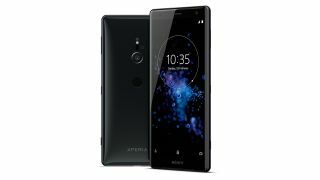 And Sony warns that depending on your market, Xperia XZ2 owners may not have access to Lens just yet. Once it is available, you only need to update your Google app via the Play store. You don’t need to update your phone at all. Google Lens allows smartphone users to scan people or objects and automatically search Google for more information, like restaurant reviews or the history of a famous landmark. Just last week, Google rolled out real-time object recognition for Lens: you no longer have to take a picture to prompt Google to look something up. Point your camera at an Nike advertisement, for example, and Google will instantly recognize and transcribe the text, and potentially provide links to Nike’s website. Samsung’s Galaxy S8 and S7 smartphone families, LG’s V30 series, and the Asus Zenfone AR also support this functionality today. And, owners of Huawei, Motorola, Xiaomi, Nokia, ZTE or Vivo phones could also see native Lens support added in the near future. For now, Google continues to be tight-lipped about its release schedule. Google also added Lens to iOS back in March. But Apple may hope to steal some of Google’s AR thunder next week at WWDC 2018. New rumors suggest that Apple could unveil “ARKit 2.0” for iOS 12 on Monday. Apple’s AR ambitions may include AR multiplayer games on iPhones and iPads, but there’s no word yet on whether Apple has plans to take on Lens’ visual search engine. Xperia XZ2 vs XZ2 Compact: which phone is right for you?